Gus Malzahn walks around the Grand Ole Opry in Nashville, Tenn., at the 2014 K-LOVE Awards this past May. Amidst the musicians set to perform and the thousands of music-lovers in the audience, the 2013 College Football Coach of the Year is merely a face among faces. Some know who he is. Most do not—not in this environment. Malzahn, coming off one of the greatest turnarounds in the history of college football—leading Auburn University to the national championship game in 2013 a year after the institution’s worst season in 60 years—blends in. Here, far from the rowdy Tiger fan base, the media flood and the crazed environment of the SEC, Malzahn doesn’t seem to be anything special. In Malzahn’s mind, all he has done is follow the path, wherever it has gone, and has trusted its direction. Gus Malzahn’s coaching journey is as much spiritual as it is technical. The latter is well documented—from the days of his youth when he’d sketch plays while watching his beloved Dallas Cowboys on television, to the decade and a half he spent coaching at the high school ranks, to now being in his second year coaching the Tigers of Auburn University. 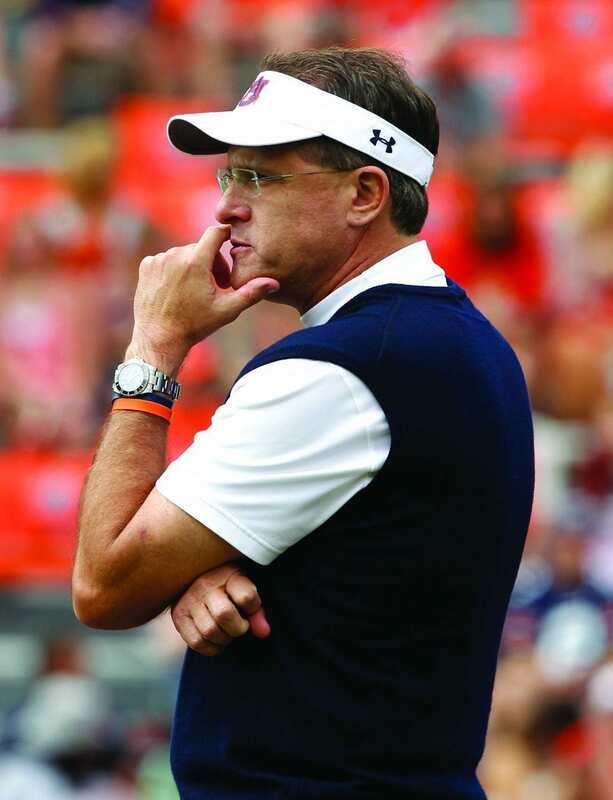 There is much more to Malzahn, however, than the brains behind his hurry-up, no-huddle offense, which has been widely adopted across the football sphere, collegiate and professional. Football might be a big part of Malzahn’s life, but it’s also only a part. One of the coaches Malzahn modeled himself after was legendary Arkansas high school head coach Barry Lunney Sr., who won his seventh state championship in 2013. Malzahn reached out to Lunney upon becoming the head coach at tiny Hughes High School as a 27-year-old kid, hoping to pick his brain about the coaching profession. The conversation that day might have revolved around football—offenses, defenses, practice structure, etc.—but over the years Lunney became a role model to Malzahn in ways that go beyond football. Lunney, who taught a Sunday school class that Malzahn’s mother-in-law and father-in-law attended, seemed to blend football and ministry in a way that was attractive to Malzahn. In 1994, Malzahn decided to make it real. 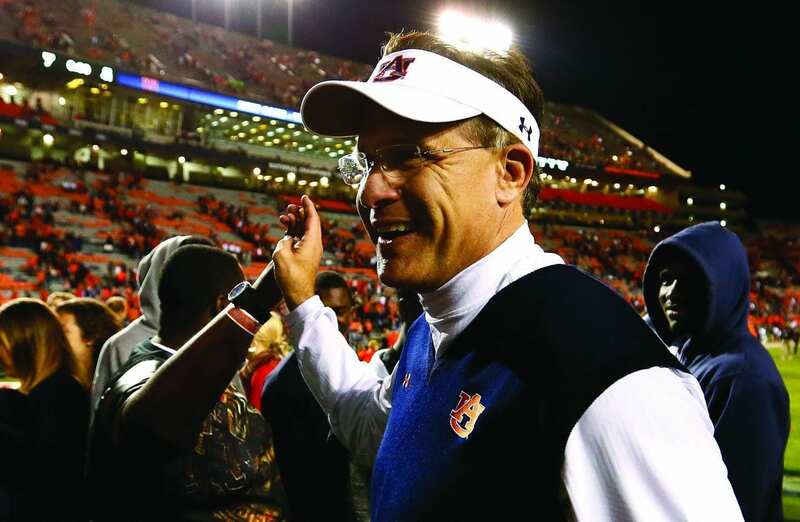 By this point, Malzahn was six years into his marriage with his wife, Kristi, his hometown sweetheart, and three years into his tenure at Hughes. It was also a year that, through a series of improbable post-season circumstances, allowed Malzahn to put Hughes on the map, leading the school to its first state championship in its otherwise fruitless history. “It was a miracle the way it all unfolded,” Kristi reflects. 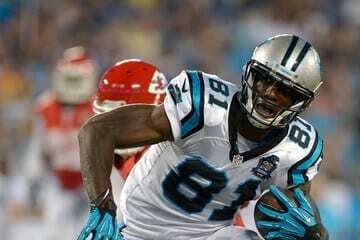 However, while the budding head coach might have been praised for his brilliant mind, his heart was in turmoil. It was their marriage that led to this decision. Kristi says their differences had finally risen to the forefront of their relationship in 1994. Like any marriage or relationship, they had reached their “crisis point”—they would find out what they were really made of, who they were committed to and what they were committed to. Commitment to God is revealed by our commitment to the things He has instituted. For Gus and Kristi Malzahn, their commitment to one another reflected something much deeper—it was a collective “Amen” to doing things His way, whatever that may be, professional or personal, public or private, and a submission to His will. Even if it was hard. Even if it was contradictory to their feelings, as truth often is. Their obedience was a reminder to themselves that God’s way was better than theirs. But perhaps it also demonstrated to God that He could lead them anywhere—because they would be willing to follow. Malzahn accepted the head coaching position at Shiloh and developed one of the most successful high school offenses in the country. The Saints won two state titles between 1996 and 2000 and, at one point, won 44 games in a row. One season, they set a national record with 66 passing touchdowns. In 2001, Malzahn became the head coach at Springdale High School in Arkansas’ largest division, leading them to the state championship game in only his second season. 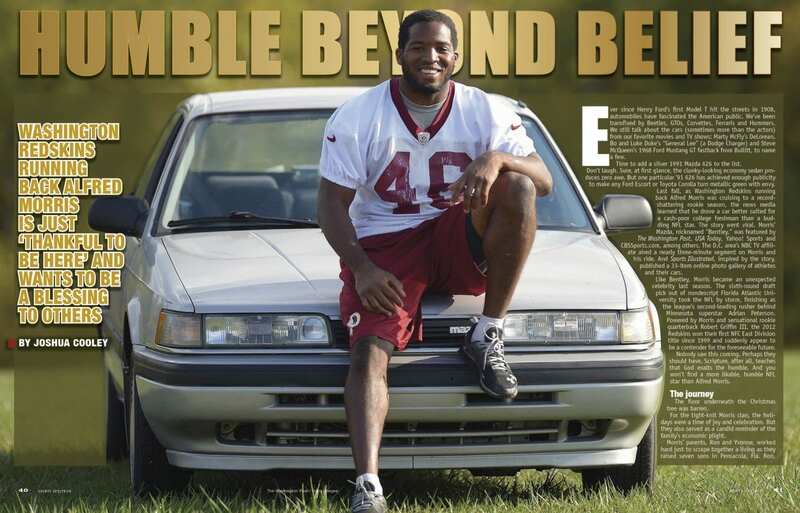 He published a book and instructional video in 2003 titled Hurry Up No Huddle—An Offensive Philosophy, which was used widely throughout Arkansas and even in the NFL. In 2005, Malzahn’s final season at Springdale, he led the Bulldogs to a 14-0 record and Class 5A championship. Malzahn, like his good friend, Ole Miss head coach Hugh Freeze, successfully made the jump from coaching high school to college. Malzahn became the offensive coordinator at the University of Arkansas (2006), the University of Tulsa (2007-08), and Auburn University (2009-2011) before being named the head coach at Arkansas State (2012), where he led the Red Wolves to a 9-3 record, the Sun Belt Conference title and to a bowl game. 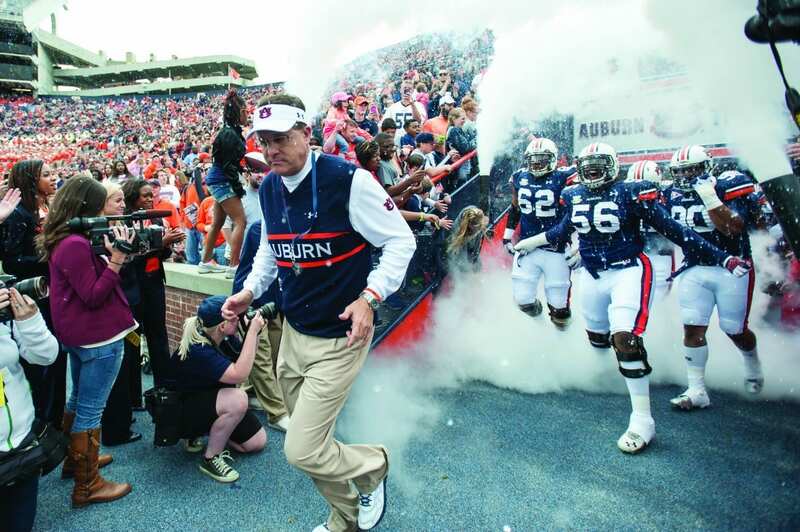 In 2013, he took the reins of the football program at Auburn University. 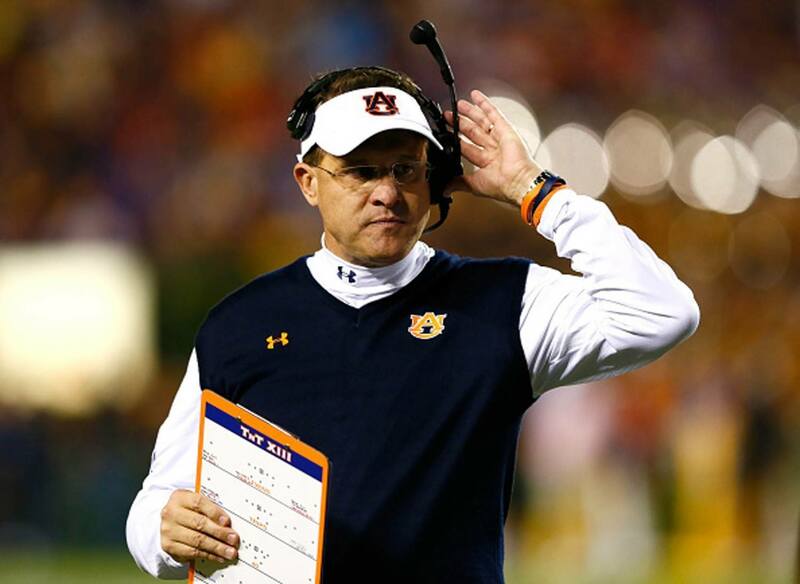 Malzahn took the Tigers to the BCS national championship game in his first season, despite taking over a program that didn’t win a single conference game the year before. This year, the Tigers were ranked No. 3 in the country eight games into their season (when this issue went to print), again in position to make a run at the national championship. Malzahn has not forgotten the two commitments he made back in 1994—the first to God, the second to his wife and family. Last year during Auburn’s historical season, Krisi Malzahn was reminded, while doing a Bible study with the coaches’ wives, of how her husband’s love took her to a deeper level of spiritiuality. These two things—Malzahn’s commitment to God and his family—remain at the crux of his humility. He is quick to point out that everything he has, including his platform as the head coach at Auburn, comes from something much bigger than himself. And sometimes, bowing before His feet allows Him to move through our own—and take us places we never expected. 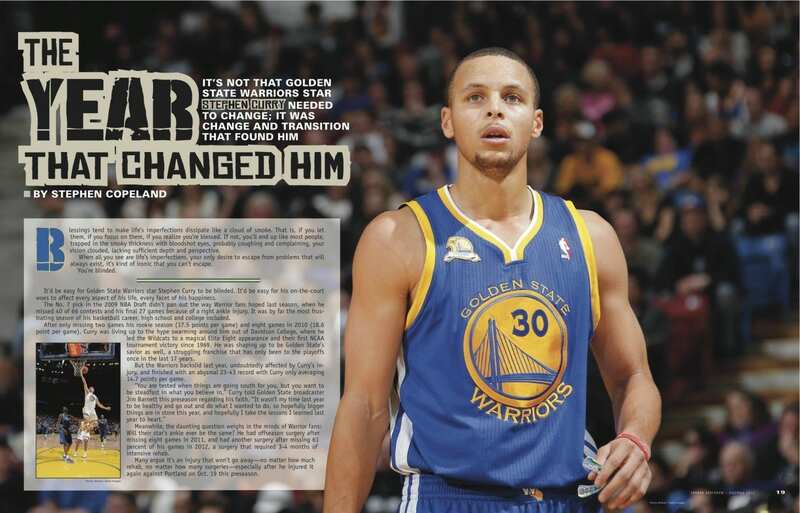 This story was published in Sports Spectrum’s Fall 2014 DigiMag #3 (Vol. 28, No. 4 in print). Log in HERE to view the issue or subscribe HERE to receive 12 issues of Sports Spectrum a year.